Are We Headed For A US-Turkey "Fresh Start" After Brunson's Release? Is it time for a "fresh start" as FT suggests? 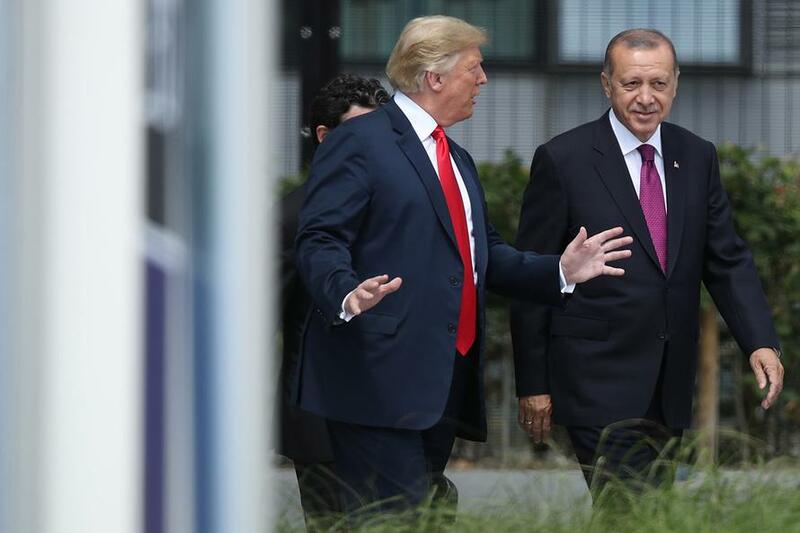 No doubt Turkey would welcome it, as its economy was left reeling this summer as its relationship with Washington hit a low point, sending the lira into a death spiral, but the fact remains that it's also a NATO ally which did more than any other to create that very refugee crisis in the first place. Turkey has indeed played a "vital role" in the crisis, as FT suggests, but more in the way of being both "arsonist" and "firefighter" as during most of the seven year long Syrian proxy war it used its border as the largest "jihadi highway" in modern history, facilitating the movement of al-Qaeda and ISIS terrorists into Syria to fight the Assad government. And of course, the United States was a key partner in this — as Joe Biden all but spelled out while speaking at Harvard in 2015 — when he blamed "US allies" including Turkey for the rise of the Islamic State. This is likely the reason why the White House has never fully and adequately called President Erdogan to account as a state sponsor of terror — simply put, each side probably has too much dirt on the other. "Insurance policy" is quite possibly the only accurate and fitting image FT offers in its op-ed: the two sides "need each other" in the way co-conspirators in a crime need each other to keep quiet, with the unspoken ability of each of further blackmail the other.